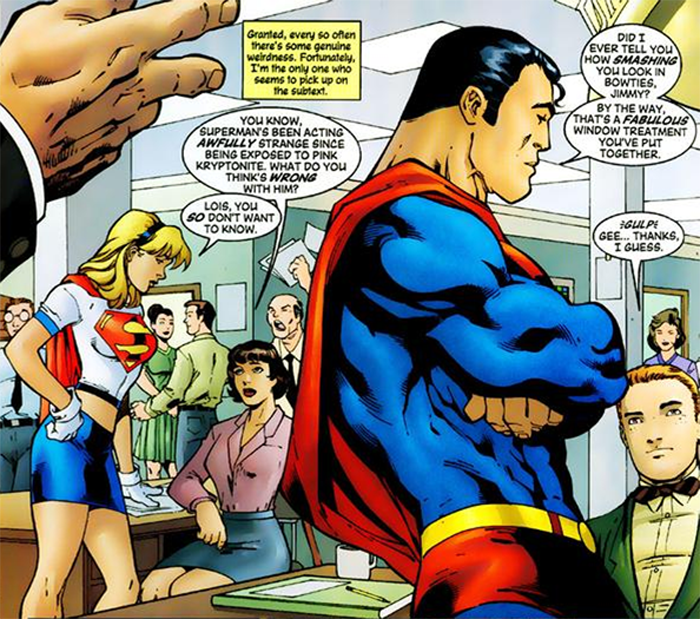 Ender’s Game author – and board member of anti-gay marriage group The National Organization For Marriage – Orson Scott Card is writing for the new digital comic Adventures Of Superman. Gay marriage activists are rather upset, and have started a petition to have Card fired. Zeus Comics in Dallas TX will boycott the print edition. As far as I know, Zeus Comics isn’t demanding Card be fired, only saying they will not be carrying the comic. Their choice, and I’m fine with it. A private business is perfectly entitled to carry or not carry what they choose. Just like how DC Comics, also a private company, is free to hire anyone they choose. Regardless of all this, I somehow doubt Superman comics will suddenly be shot through with overt anti-gay marriage themes. Even if Card wanted to include them, DC Comics would put a stop to that with a quickness. Can’t rile the customer base. Card wrote an essay in 2004 outlining his opposition to gay marriage. I agree with him. Posted on February 13, 2013, in Hey! Comix!, Liberty and tagged comics, liberty, Superman. Bookmark the permalink. Leave a comment.